Relax by the water at City Beach and Mullaloo Beach. 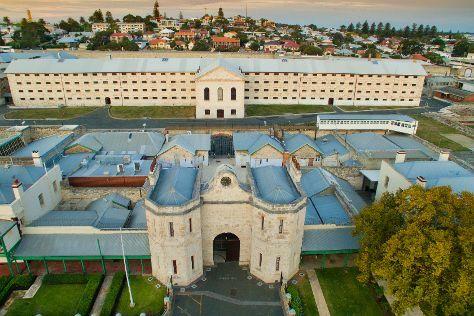 Popular historic sites such as Fremantle Prison and The Perth Mint are in your itinerary. Venture out of the city with trips to Fremantle (Fremantle History Walking Tour, South Beach Recreation Reserve, & more), Barna Mia Nocturnal Wildlife Experience (in Dryandra) and Lane Pool Reserve (in Dwellingup). On the 4th (Fri), spend an adventurous day with a kayaking and canoeing tour. Spend the 28th (Thu) exploring nature at Rocky Pool Walk. The adventure continues: tour the pleasant surroundings at Rockingham Beach, look for all kinds of wild species at Caversham Wildlife Park, enjoy the sand and surf at Warnbro Beach, and zoom along the surf with a waterskiing or jet-skiing adventure. For more things to do, where to stay, other places to visit, and more tourist information, you can read our Perth travel itinerary planner . If you are flying in from Netherlands, the closest major airport is Perth International Airport. January in Perth sees daily highs of 38°C and lows of 20°C at night. Finish up your sightseeing early on the 1st (Fri) so you can travel back home.